In a recent article in the New York Times, What’s the Secret to Reaching 111? ‘Avoid Dying,’ but ‘Porridge Is Helpful,’ (3/31/19), Palko Karasz reports that there are more than 14,000 centenarians living in Britain according to the most recent statistics. The oldest person on record living in Britain is Grace Jones, a woman who turned 112 last September. The two oldest men, Alf Smith and Bob Weighton are 111. Both were born on the same day March 29, 1908. Wow. 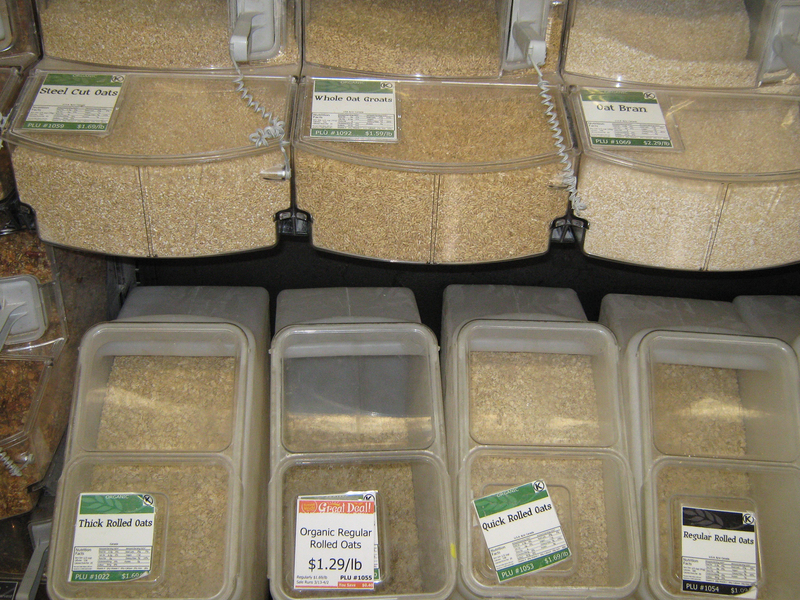 Organic steel cut oats to make porridge are reasonably priced at $1.69/lb: A jarful cost only $1.77, enough to make 15 servings. 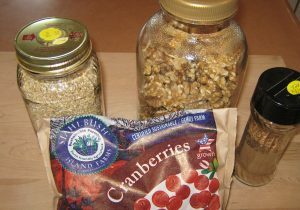 A few years ago, we shared a recipe for Five Minute Strawberry Rhubarb Oatmeal using rolled oats. Although a delicious and healthy breakfast, especially in this era of sugar laden, packaged cereals, oatmeal using rolled oats is not porridge. 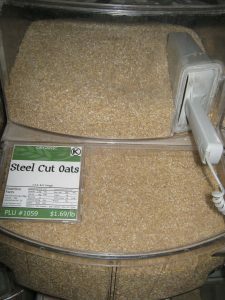 To make a porridge with oats, you need to use steel cut oats. So in tribute to Mr. Smith of Perthshire, Scotland, we decided to share this easy to make, in 15 minutes, recipe for porridge. Bring two cups of water to a rapid boil in a small pot. Add 1/2 cup of steel cut organic oats and cook over high heat while stirring often for three minutes. 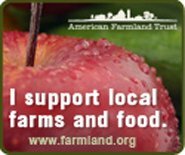 Lower the temperature to moderate heat, and add 1/4 cup of cranberries and stirring occasionally cook for 12 minutes. If water is not completely absorbed, lower the temperature to simmer and cook until all water is absorbed. Transfer to a small bowl, and sprinkle 1 teaspoon of cinnamon and a handful of organic walnuts. 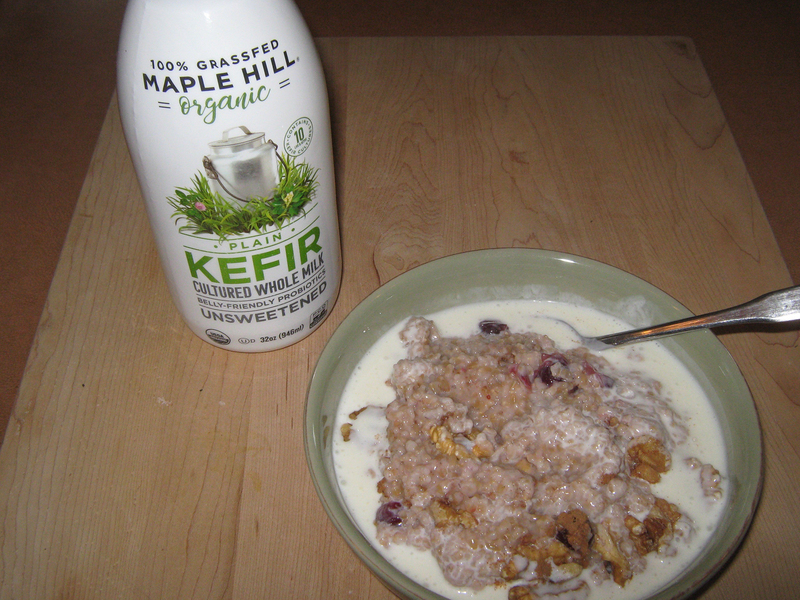 Moisten with 1/4 cup of plain kefir (which I like to add around the circumference of the porridge). Enjoy 15-minute cranberry walnut porridge.